Your small dog or cat will love eating or drinking from this ceramic bowl with its tapered shape. 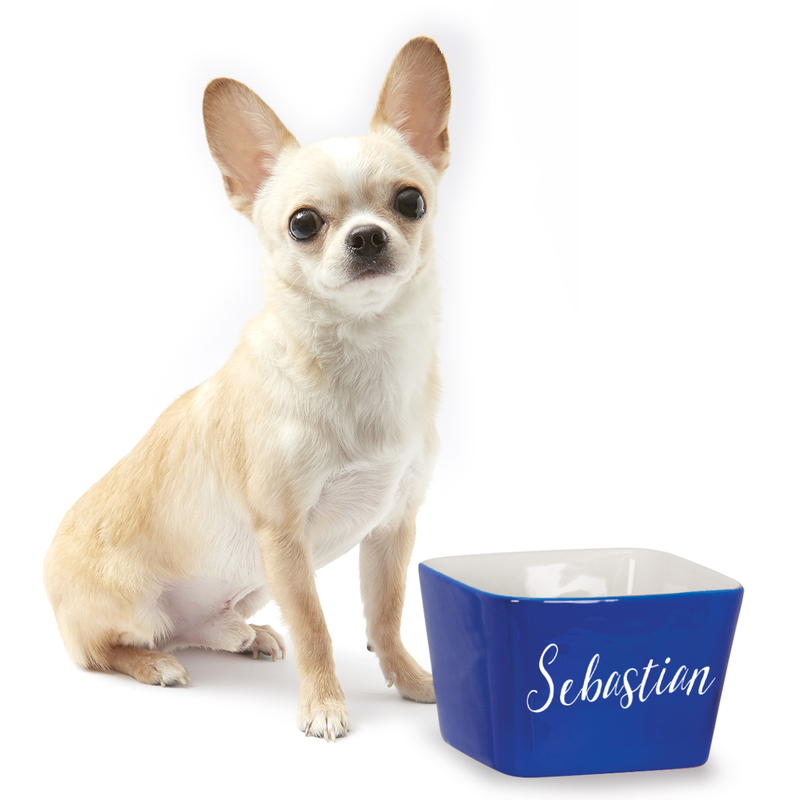 Custom engrave your furry friends name right onto the bowl. 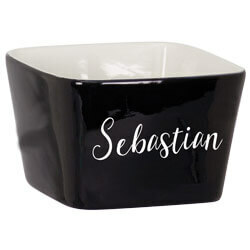 For small dogs or cats, this pet dish will look great in your kitchen with your sweet pet's name engraved on the outside. This bowl comes in red, blue or black. Name is engraved in white. Inside of bowl is food safe. Maybe you need one for food and one for water. Order yours today!